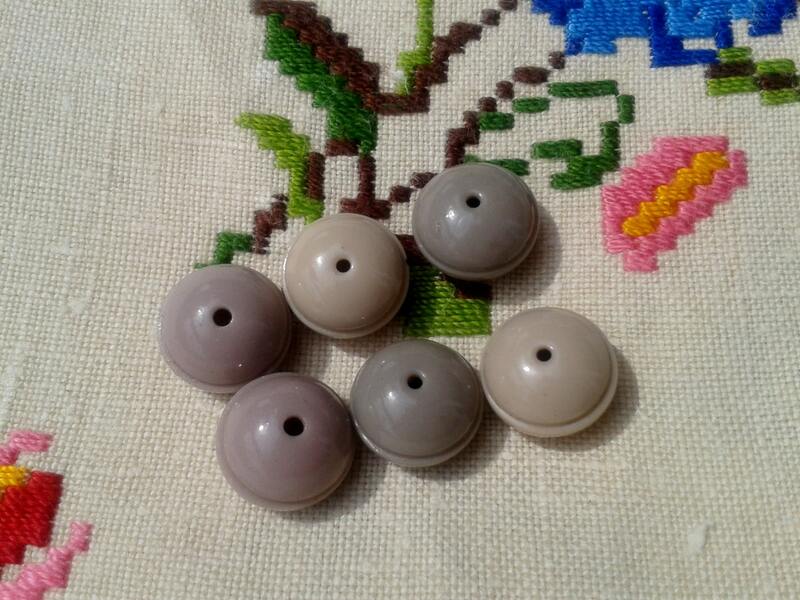 Rare and very Unique Victorian whistle buttons. 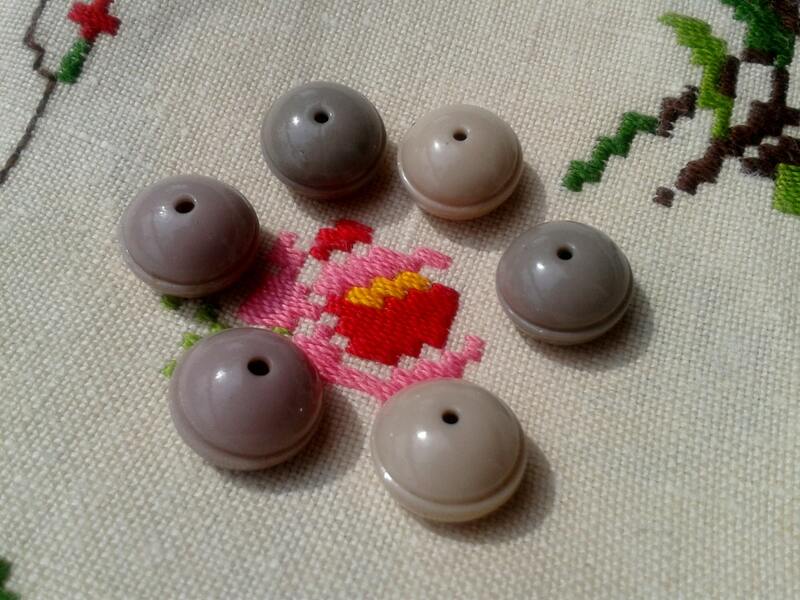 Set of 6 Antique Ceramic Porcelain Buttons. 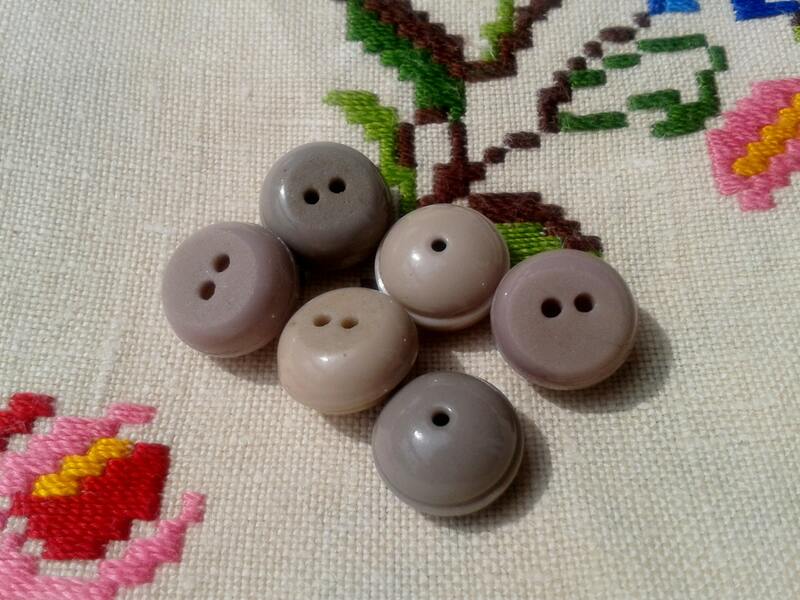 French handmade buttons from 1800's. One hole on the front side and 2 on the backside. Bead shape with a ring. 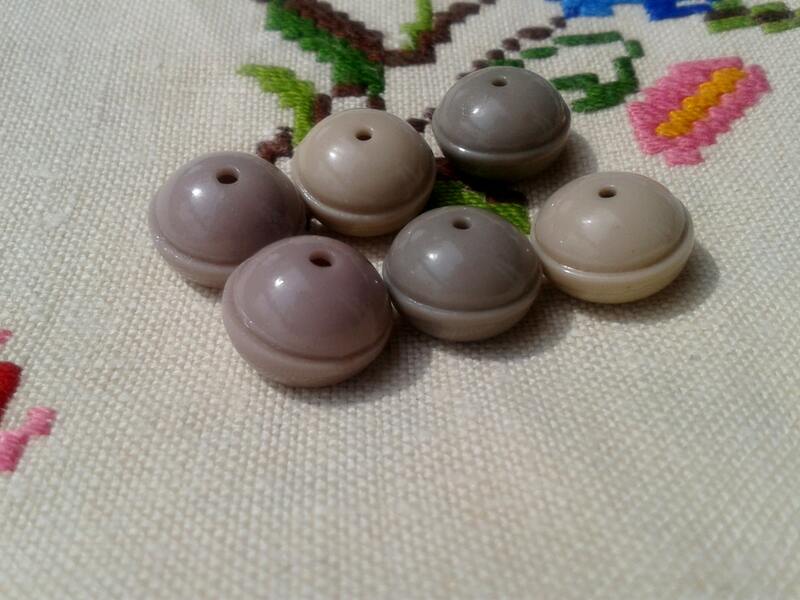 Family item found in my grandmother sewing box. Diameter : 0, 5 in. Tall : 0,2 in.